Amalgam is an economical blend of metals used to fill cavities in the mouth. Also known as ‘silver fillings’, amalgam fillings are comprised of silver, copper, mercury and tin. The majority of Americans have dental fillings – most of whom have at least one amalgam. Many prefer amalgam because it is the most affordable and long-lasting filling material available today. In fact, amalgam fillings are less likely to fall out or break than other filling material. that amalgam has been the filling material of choice for millions of dental patients over the past 150 years? It remains a commonly used filling material today, with the Food and Drug Administration ruling it safe for dental patients age 6 and up. 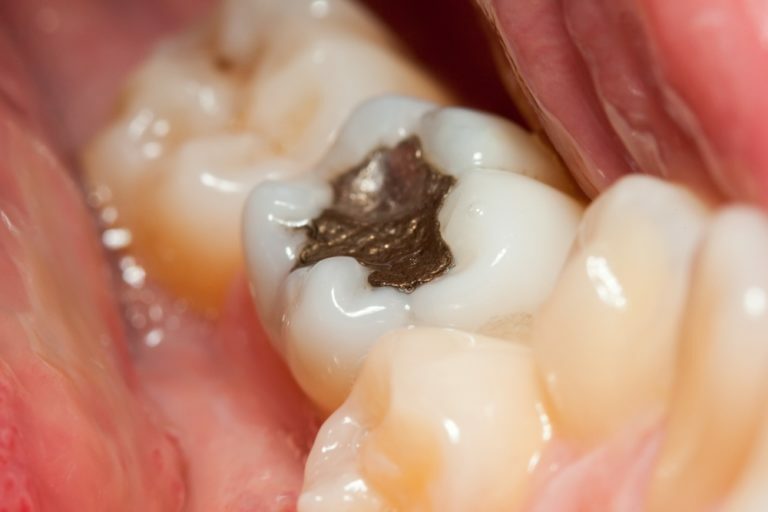 Amalgam can be placed in a single visit and is made to be self-sealing – resisting the development of further decay. Am I a candidate for amalgam fillings? Nearly anyone with tooth cavities over the age of 6 is a candidate for amalgam fillings. However, the decision to get silver fillings can only be made between you and your dentist. Be sure to tell your dentist if you have any metal from getting an amalgam filling. How long will an amalgam filling last? Amalgam fillings are made to withstand biting pressure and last for many years. Instances of breakage are rare, and repair frequency is low. When properly cared for, most silver fillings last a minimum of 10 to 15 years. Your dentist will check the condition of your fillings during your periodic dental exams and cleanings.